The first few months of Overwatch League’s inaugural season have already resulted in unexpected upsets, emerging tactics, and drama between players that has resulted in pros getting fined, benched, or released from teams. That stuff isn’t just fun to follow and grist for the content mines: it’s moving betting lines. Overwatch is the newest league to show up on esports betting sites across the internet, but the entire world of esports betting is still quite green compared to its traditional sports forefathers. After all, organized and regulated esports leagues haven’t even been around long enough for anyone to have experience with how a regulated betting landscape for esports should look. Riot Games’ league for League of Legends has only existed since 2013. In the years to follow, esports betting has become ever more viable, so long as you live somewhere that it’s legal—thanks to pre-existing betting operators adding esports to their lineups. In 2014, Bet365 added esports contests to their site, and in 2015, Betway followed suit. Esports-focused betting operators like Unikrn, founded in 2014 and based in Las Vegas, have also risen to prominence alongside the growth of esports leagues in the past five years. Would-be esports bettors can place bets on Bet365, Betway, Unikrn, and any number of other big-name gambling sites that now offer esports contests, so long as those bettors can prove they live in a place where it’s legal. Although the tsports old guard doesn’t consider esports to be a sport, the letter of the law in America still does, at least when it comes to placing bets. If you’re an American dying to place bets on esports contests, you can do it under the radar by using digital currencies, such as Counter-Strike or PUBG items (this practice is called “skin betting”), or bitcoin, offered as an option by sports betting sites like Nitrogen Sports and Loot Bet. Of course, if you choose to place bets illegally and anonymously, you’ll be entering a world rife with potential scams and setbacks, so, bettors beware! If you don’t live somewhere where betting is illegal, you’ll find many licensed and legit ways to bet on esports contests. Unlike their traditional sports counterparts, though, these up-and-coming esports betting operators don’t have decades of data to turn to when it comes to setting up odds and noticing suspicious behavior among bettors. Some companies have built their own databases for predicting the odds, but it’s a work in progress. Unikrn’s co-founder and CEO Rahul Sood told Compete that the company had a rocky start with calculating odds in the early days. In traditional sports, betting sites can outsource the job of calculating odds to private companies, Sood explained. “The way it typically works is, you have data companies that are sort of like oddsmakers and then you have bookmakers that license from oddsmakers,” Sood explained. Sportsbook companies like American Wagers and Vegas Sports Consultants peddle their services to betting operators in Nevada. Bet Radar has a list of licensed sports betting software companies that sell packages to would-be gambling startups. The whole reason that sportsbooks calculate odds is to ensure that they don’t lose money on hosting bets. For example, if a bettor gets offered 1:2 odds on placing a bet, they can put down $10 and get $15 back if they win. Assuming that someone else bets $10 on the other team, the final payout will be easy for the bookie. No matter which side wins, the bookie will get to keep the $5 and pay the $15 pot to the winner. But if no one bets on the other side, the house will lose that $5, rather than being able to take it from the losers’ pot. That’s why betting sites want an equal number of money placed on each side of a contest, thereby guaranteeing enough in the pot to dole out to the winners and still leave a fair cut for the house. Odds are about predicting bettors’ preference for who will win, not who will actually win. If a betting site misjudges what types of odds will garner equal actions on both sides from esports fans, the house could end up losing. Sportsbooks can and obviously do change the odds after bettors have put down their opening bids, but they don’t want to have to do that as a frequent corrective. Betway Group claims they don’t try to keep an even number of bettors on both sides, if they believe their predictions are correct. “There are many occasions where we believe our expert analysis is better than whatever else exists in the market, and we will deliberately frame prices to ensure we get a majority of stakes on one side,” Russell explained. “We are happy to take on risks and lay bets, and paying people when they are right and we are wrong is all part of the competition.” The math doesn’t check out on that, but of course, it’s always in the best interest for betting operators to act like it’s possible for fans to beat the house. Lee “Life” Seung Hyun, a StarCraft pro later convicted of match-fixing, posing with the 2014 WCS trophy at BlizzCon. If a whole lot of esports fans suddenly show up and bet on only one side, that raises eyebrows among betting operators. It could be a sign that a team or a pro player has plans to throw the match and profit by betting on their opponents. This past week, a StarCraft pro and a betting site operator got arrested in South Korea for collaborating on a match-fixing scheme. The StarCraft scene has a history of match-fixing scandals, as does the Counter-Strike scene, and every now and then, League of Legends does too. The Esports Integrity Coalition (ESIC) keeps an ear to the ground for reports of suspicious activity and potential match-fixing scandals, keeping open communication channels with Unikrn, Betway, and dozens of other esports betting operators. Ian Smith, ESIC’s integrity commissioner, is a lawyer based in the UK with two decades of experience in traditional sports regulation, particularly cricket. Since its founding in 2016, ESIC has signed memorandums of understanding with the Maltese Gaming Authority and the Nevada Gaming Control Board, which means that those organizations can aid and oversee ESIC in investigating irregularities that arise in the esports betting space. ESIC also agreed to an information-sharing pact with the UK Gambling Commission. Scandals have yet to arise with ESIC, perhaps because Ian Smith serves more as an intermediary between pre-existing institutions, rather than a solo superhero tasked with cleaning up esports betting all by himself. There’s already a lot of money changing hands between these esports institutions, though. Many betting sites have put money behind specific esports teams. Since 2016, Betway has served as a major sponsor for the Swedish esports organization Ninjas In Pyjamas, and they’ve also partnered with ESL, esports’ biggest tournament organizer. In 2017, Unikrn invested in a German CS:GO team called BIG, although Sood told Compete that the company isn’t involved in the team’s strategy, only marketing. 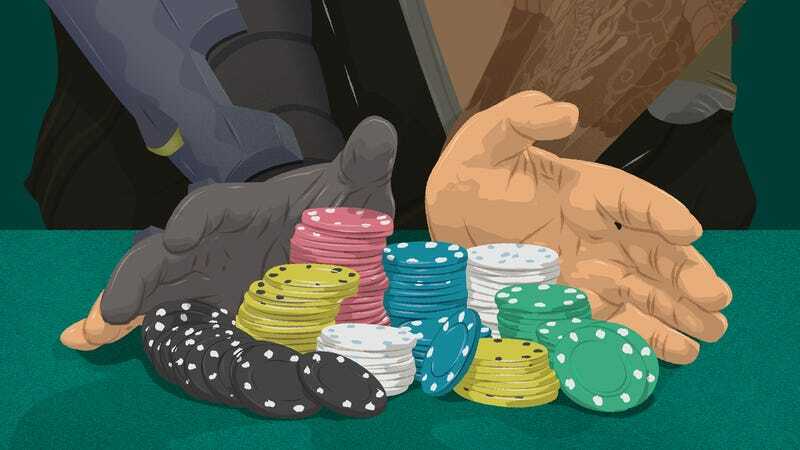 Betting sites serve as frequent sponsors in the Counter-Strike scene, but not so much with League of Legends or Overwatch teams, since Riot Games and Blizzard have strict rules against the practice. Riot’s rulebook for North American teams outright disallows gambling sponsors, whereas the European rulebook states that teams can’t display betting site logos on their jerseys. The Overwatch League rulebook has never been released, but the rulebook for Overwatch Contenders, which is the minor league, lists gambling sites among the prohibited sponsors. ESIC’s Ian Smith estimates that, with about 10 percent of alerts, there’s a problem, and “the only rational explanation is that the match is fixed or that the outcome of that particular bet is fixed, or was fixed, if it’s retrospective. And it’s at that point that I have to start investigating.” ESIC’s investigations include looking at “the match action” to see if it appears as though anyone is “under-performing,” but it also includes looking into the identity of the bettors who placed their wagers. They’d better not be pro players, coaches, and esports team staffers. Ha “Sky” Neul right before playing his matches in the WEGL Starcraft: Remastered exhibition tournament at G-STAR 2017. Those matches later came under scrutiny. Esports sites are supposed to keep track of that identifying information so that they can provide it to ESIC in the event of a match-fixing investigation. Betway asks new users for an address and phone number; they don’t allow Americans to register unless they have an address abroad, but even then, you’d have to mask your computer’s location to place bets in a place where it’s illegal. If you’re found out, the betting operator can always decline to give you those unlawfully obtained winnings. Unikrn will allow anyone to create an account on the site and bet with “Unikoins,” with real money wagering available to users in jurisdictions where it’s legal. Unikrn has developed its own cryptocurrency for their bettors called Unikoin Gold, and in order to purchase those tokens, the background checks get much more intense. That blockchain trail makes it much harder for bettors to pull off any shady deals, according to Sood. “People people often argue that cryptocurrency means there’s a lot of nefarious activity happening on it. But I would argue that fiat [money] has more nefarious activity around the world, and it’s even harder to track anti-money laundering.” This seems technically correct on volume—there’s a lot more currency than cryptocurrency in the world, duh—but unprovable otherwise. Since Ian Smith serves as an intermediary of sorts for each of these individual esports betting operators, one of the only ways that they can find out about each others’ analyses and predictions is through his alert emails. Smith does suspect that some betting operators are using his alert system for their own ends. In other words, one site could see other operators describing a lot of bettors piling in on an unexpected underdog, and that site could preemptively adjust their own odds before anyone took advantage of their crappy prediction. Smith’s real concern when it comes to a lack of regulation isn’t with these betting operators, though. He’s concerned about the seeming lack of awareness on the part of game companies like Riot and Blizzard. Ian Smith offers an education tool through ESIC called the Anti-Corruption Tutorial, designed for pros who compete in the games with the most betting action: CS:GO, Dota 2, League of Legends, and StarCraft. When Smith announced the tool last November, he said, “ESIC’s ambition is to have every esports player participating in matches on which betting markets are offered completing this tutorial.” Ultimately, ESIC hoped to “make it mandatory to have done this tutorial before competing in prize money events.” Unfortunately, five months after releasing the tutorial, Smith says he has struggled to get cooperation from major esports publishers. Smith’s estimate as to how much esports fans wager on League games could be a bit low, according to recent data from by Narus Advisors and Eilers and Krejcik Gaming, excerpted in this report on esports betting. The report estimates that, in 2017, $3 billion changed hands in the esports betting industry. That figure includes money spent in unregulated spaces, like skin-gambling sites, and it could’ve been even higher if Valve hadn’t cracked down on several skin-gambling sites last year. The report also analyzes data from licensed betting sites to determine the most popular esports contests. League of Legends leads the pack, with 38% of total betting volume getting placed on League matches, followed by Counter-Strike: Global Offensive at 29% and Dota 2 at 18%. Compete also reached out to Blizzard Entertainment and Valve Software about whether they offer education to staffers or pro players about esports betting, but did not hear back before press time. It’s a pressing question, says Smith, given the likelihood of “sports betting becoming legal in America, which is a strong possibility in the course of this year with the New Jersey case that’s currently running in the Supreme Court.” That legalization process could pull esports betting out of the shadows of its seedy, skin-gambling past and spark a shift in how esports scenes view gambling. Game publishers might not be ready for that, but licensed betting operators are counting on it.